• Ear training possibilities are endless. The high quality multi-sampled instrument sounds for symphonic instruments are unique among all other tuning applications. Listening skills can be developed through the use of the eight-octave keyboard, chromatic wheel and tone generator. There are no other sounds like these. • Learning is a social activity. Using features unique to the TonalEnergy Tuner, data can be collected, reviewed, edited and shared with others. Feedback is essential for growing and developing great performers. It’s all about connectivity. - Added global tempo adjustment when sequencing metronome presets. Now the overall tempo can be adjusted by a percentage without needing to change preset tempos individually. - Simplified metronome preset ranges, can now be swiped to quickly set the start and end range for sequencing the metronome. - Metronome preset sequence mode is now unified, in order to sequence a single preset, simply select it as the only preset in the range (by swiping). - Sequence mode is automatically enabled when selecting a preset with tempo changes or multiple bars specified. - Added additional Count-in modes, and a Count-In enable button on the main metronome page. - Added option to make metronome primary and secondary accents sound identical. - Fixed 8th=8th behavior with X/2 and X/8 meter changes. 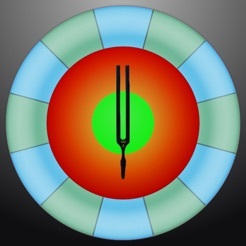 - Fixed several metronome bugs. - Removed auto-octave switching when tapping notes on the tone wheel. - Added options to disable showing the visual target tuner, note names, or cents, for situations when a visual tuner might be distracting. - Can now see the cents offsets for factory temperaments, and can create copies of them to edit. 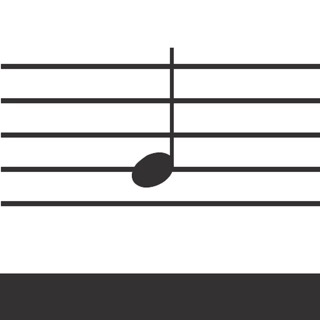 There is a string tuning mode that has a left/right bar style tuning model along with a string indicator for the tuning of your choice. Check it out by pressing the Sound tab button and selecting "String Tuning", then choose Guitar standard (for example) for the string tuning style. [EDIT] - If you are often tuning your voice, you'll want to adjust the mode/range setting and use Voice mode. Find that button on the Tuner page in the lower right with the blue/green text. The voice mode smooths out the response of the tuner and widens the "smile" range to be a better fit for voice use. I compared the tuner function against multiple korg model timers and found this app to be all over the map with the tuning. Some notes that were in tune on the korg tuners were showing 15 cents flat or sharp!! That is a problem with the app. How can you have a “tuning” app out of tune? I’ll be sticking with the korg. UPDATE: I revised my original rating from 2 stars to 5. First because after a great response by the developer I discovered that I had a setting incorrect even though the Hz setting was correct. Second because of the excellent customer service! I never expected Total Energy to read my review but they did and they reacted to make sure I was satisfied. That is rare these days!!! Awesome tuner...I have since retested the App vs. the various Korg model tuners I have and they are all spot on! This sounds pretty odd to us too! Are you sure you were using Equal Temperament and hadn't accidentally hit the alternate temperament button in the upper left corner? We can continue a troubleshooting discussion via email, please let us know more info at support@tonalenergy.com (device, what instrument you were testing with, etc). Thanks! this app is amazing!!! i am a musician, and struggled with many other metronome/tuning apps. none of them worked quite right for me, until a friend recommended tonal energy to me. it’s tuner is amazing and has helped me develop a great, steady tone. i love that there are different settings for how finely you want to be tuned. it’s been very good for me as i progress in my playing. 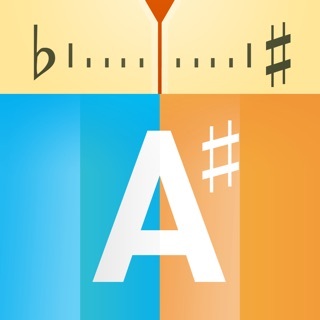 i participate in marching band and a few different concert bands and nearly everyone there has this app. you can ask most anyone who has this app and they will tell you it is 100% worth the money. it’s amazing and worth the time. my musicianship has improved so much since i’ve had tonal energy.